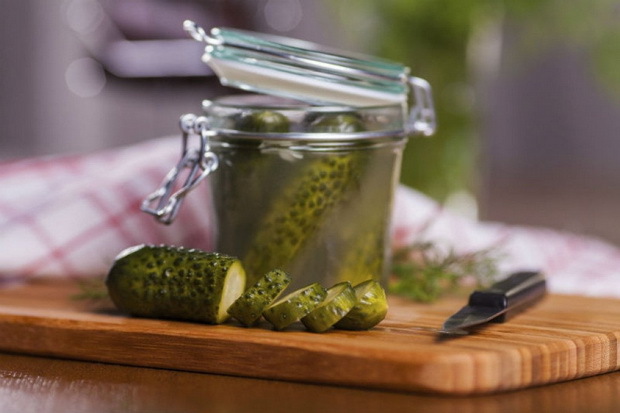 Once you eat the jar of pickles, you probably think that their water should be poured away. Wrong! The juice from pickles not only serves to maintain the acidity and freshness, but also for several other useful purposes as well. Acidic liquid that pickles are stored in are high in electrolytes so you can drink it without additional accessories after hard training. This will restore part of the important matters that you have lost from sweating. Also, this liquid is an excellent source of potassium, which prevents inflammation of the muscles. You should only separate the garlic and spices that are normally put in the jar. Juice of pickles can be used as a “sweeter” substitute for vinegar that can spice up various green salads, potato salads and hard-boiled eggs. The liquid can be added in yogurt and make salad dressing or use for marinating the meat. Also, the juice from pickles can soften onions and reduce onion’s sharp taste. Acid juice can be used in making unusual cocktail. You can add it in a martini as substitute for olive juice and olives that are usually added into the martini. Or, you can add it in a glass of whiskey, which is one of the most popular trends at the moment. Finally, remember that the juice of pickles is a great cure for hangover!